It’s the moment the inhabitants of the Lofoten Islands wait for all year round – the arrival of the skrei. A Norwegian delicacy, skrei is a migratory cod which journeys thousands of miles from the Barents Sea to these islands every year. As the Arctic night ends in the middle of January, all eyes turn towards the sea, where two million tonnes of fish will arrive to mate and spawn in the waters where they themselves were born. Traditionally it’s the children who scan the horizon for the punctual arrival of the skrei while the fishermen clean their trawlers and prepare their hooks. Every year without fail, the end of January marks the beginning of the skrei season, which runs until the end of March, earning the fish the nickname ‘Valentine’s Cod’, since it always arrives in time for the festival of love. 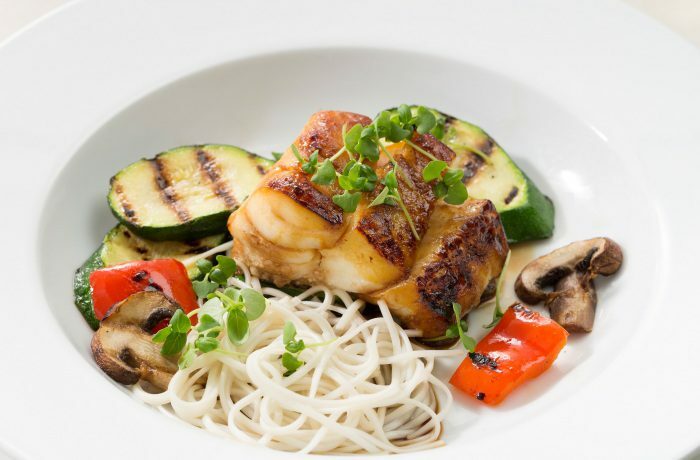 Skrei is a delicacy in Norway. Its lean white flesh has distinct fat lines, which allow it to flake perfectly, while the fat itself melts away as it cooks. The key to its whiteness is in the length of its migratory journey through icy dark waters. Swimming almost a thousand kilometres gives it a brighter flesh than other types of cod. Rich in protein, vitamins and minerals, skrei spend most of their lives in the nutrient-rich Barendts Sea. When they reach maturity they migrate to spawn in their birthplace on the Norwegian coast. The name skrei in fact comes from the Norse word skrida, which means ‘to wander’. But only the best of these piscine wanderers can be called skrei. 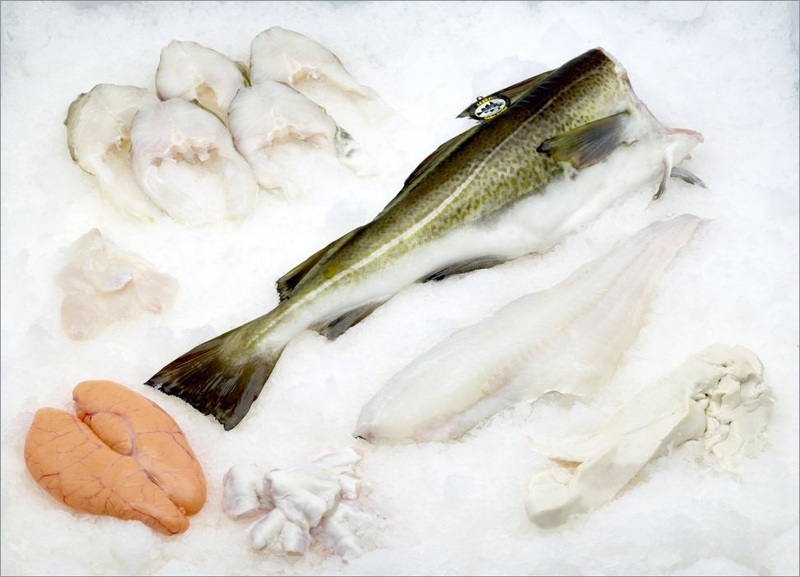 Such is the value placed on this delicacy by Norwegians, that to be given the accolade of being called skrei, the fish needs to be caught fully grown, with immaculate unblemished skin, packed within 12 hours of being caught, and stored on ice at a temperature between 0 and 4 Celsius. 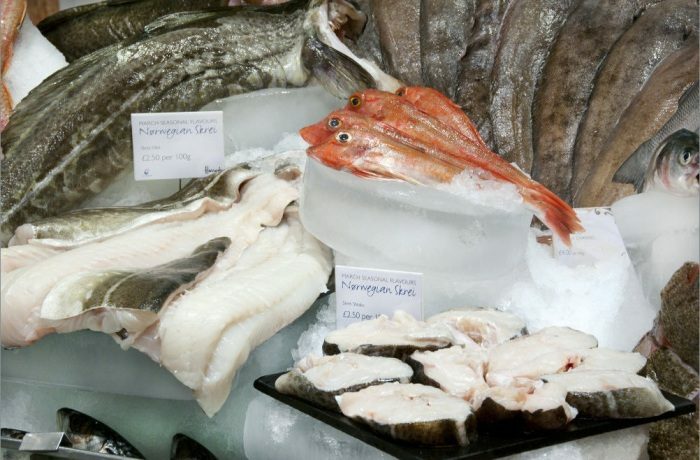 Those that don’t qualify aren’t wasted – Norway banned discards 27 years ago – but the standard ensures that those fishing for this special cod take care to ensure the quality of the fish is kept in the finest of conditions. 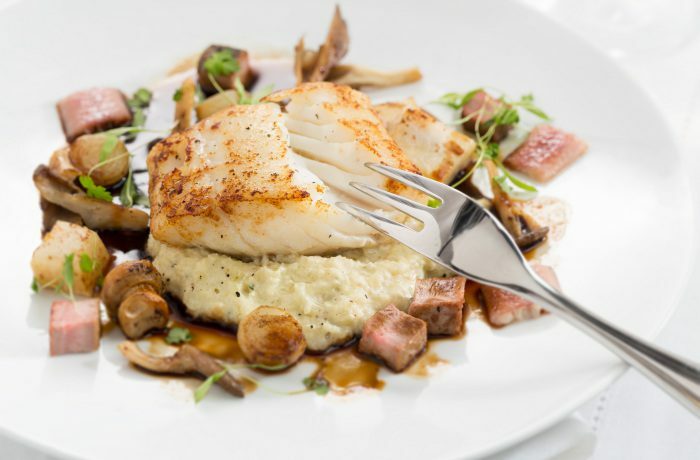 Contrary to the general trend for Atlantic Cod, skrei is a growing cod stock, which is certified as sustainable to be fished by the Marine Stewardship Council. 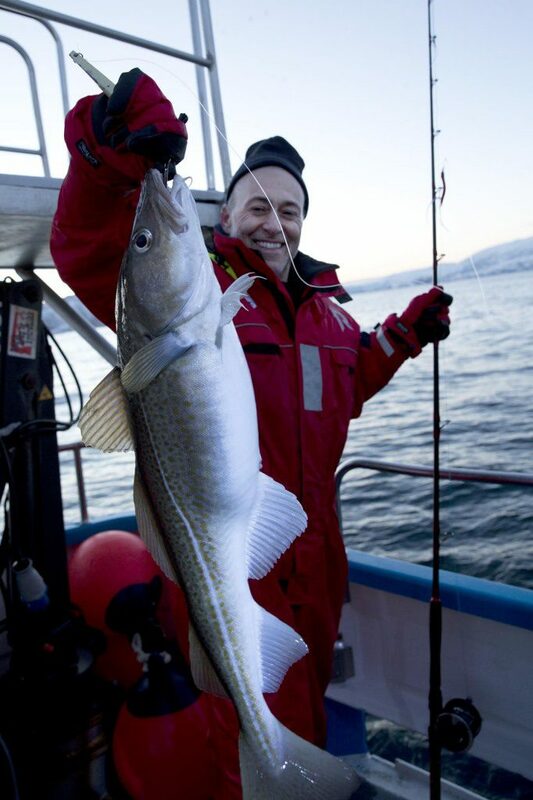 SKREI chefs fishing trip to Sommeroy, Norway. Chef Michel Roux Junior. Everyone gets involved when the fish begin to arrive, including the kids, who get official time out of school to help cut the tongues out of the decapitated fish heads, a particular delicacy, for extra pocket money. 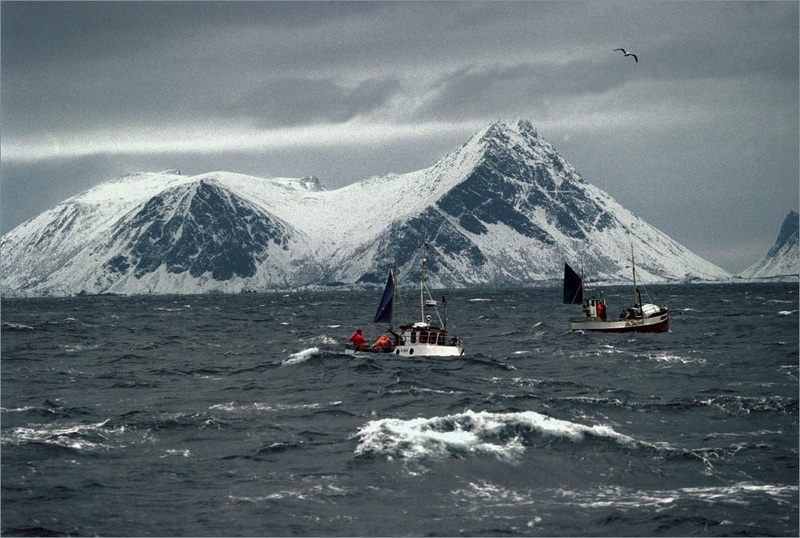 In the UK, the start of the skrei season is almost as hotly anticipated by chefs, as it is by the Lofoten Islanders. Michel Roux Jr and Simon Hulstone of Elephant together devised and presented a skrei-based menu to celebrate the fish at the Norwegian ambassador’s home in mid-January. To find out what the excitement is all about, you can find skrei on sale in Harrod’s Food Hall, at Booths supermarkets across the north of England, as well at fishmongers like James Knight in Mayfair.